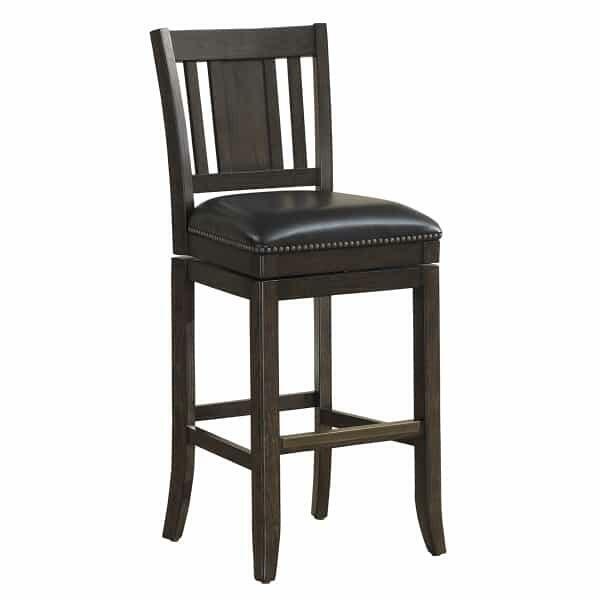 The Northport Bar Stool by Howard Miller is a perfect complement to the Northport Bar, or a gorgeous piece of furniture all on its own. The exclusive Burnished Black finish has a vintage feel; the black faux leather seat and backrest lend a classic appeal. The Northport Bar Stool is finished with antique brass nail heads and an antique brass-finished metal footrest for extra appeal.